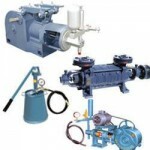 Boiler Feed Pumps and Hydraulic Testing Pumps boiler feed water pump is a specific type of pump used to pump feed water into a steam boiler. The water may be freshly supplied or returning condensate produced as a result of the condensation of the steam produced by the boiler. These boiler feed pumps & hydraulic testing pumps are normally high pressure units that use suction from a condensate return system and can be of the centrifugal pump type or positive displacement type. Typical Material of Constructions is CI with Manganese Bronze Impellers or SS body with SS Impellers. They are used for multi purposes like boiler feed service, high pressure testing, high head delivery, cooling service, handling chemicals, vapour / gas with liquids etc. Hydraulic Testing Pumps are available either in Hand Operated type or motorized type. Hand Operated Pumps are available for testing pressure upto 1000 Kg/cm2, in either MS/SS Body with SS Check Valves. These are very robust and are widely used for testing of pipelines, cylinders. Mieco’s boiler feed pumps series offer several hundred combination options in terms of the hydraulic design, which means these pumps can be optimally matched to each individual application. Boiler feed pumps in thermal power plants are prone to normal wear and tear over a period of time, which leads to loss of pump efficiency and sometimes accidental failures resulting in heavy damages and prolonged shut downs. Boiler feed pumps play a major role in the capacity and heat rate of a power-generating unit. We offers a wide range of Hydraulic Oil Pumps and Industrial Rotary Gear Pumps. 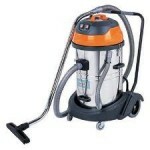 Procured from the decisive vendors, our offered range is flawless in nature and perfectly designed for our customers. Gear Pumps C.I. / EN8 S.S.-316 / S.S. Brz. De- Watering Submersible Pumps Alu, Alloy / S.S. / Rubber Lined. Chemical Pumps C.I. / S.S. / C.S. / S.S.-316 / P.P. / Teflon, U.H.M.W.P.E. 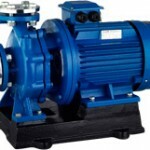 Process Pumps C.I. / S.S.-316 / Brz / S.S. /Alloy-20. Boiler Feed Pumps C.I. / Brz / S.S.-136. Highspeed Centrifugal Pumps C.I. / S.S.
Monoblock Pumps C.I. 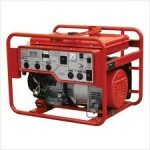 / S.S.
Electric Motors AC & DC Brake / Crane Duty / Flame Proof / Geared Motor. Barrel Pumps - Electric, Pneumatic, Hand, Diaphragm type S.S. / P.P. Teflon. 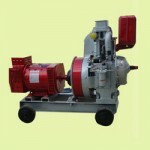 Triplex Plunger Pumps WCB / S.S.-316 Liquid cont. parts. Dosing Metering Pumps S.S.-316 / WCB / Brz / P.P. / Alloy-20. Liq. Cont. parts.. Double Diaphragm Pumps S.S. / Alloy Steel / P.P. 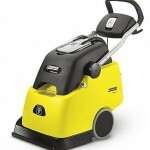 Sprayers Imported Sprayers, Mist Blowers, Lawn Mowers etc. 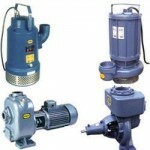 Customised Pumps Pumps specially made as per your requirements RO Systems, and P.S.I Plants etc. Mieco Pumps & Generators Pvt. Ltd.